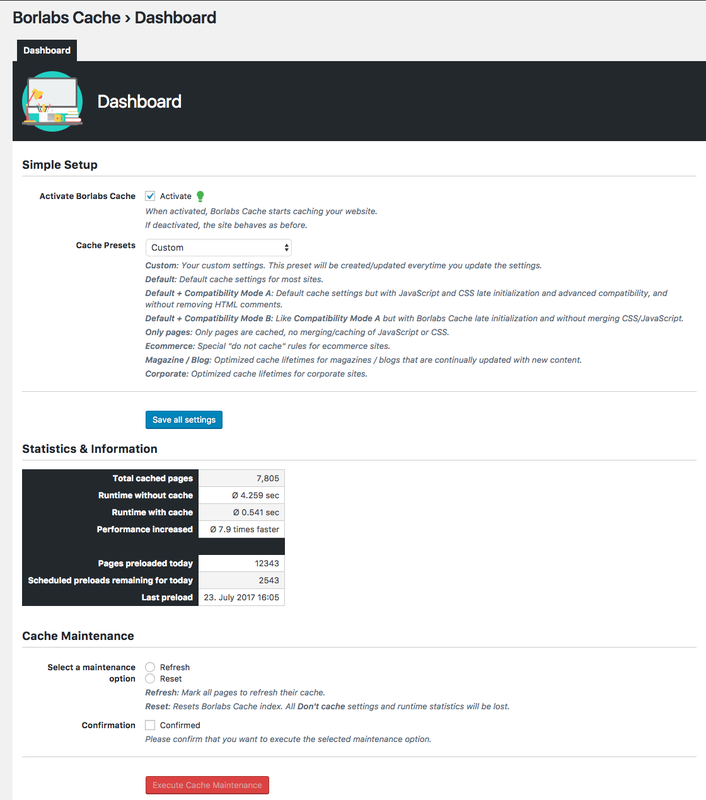 An easy to use yet powerful caching plugin for WordPress. 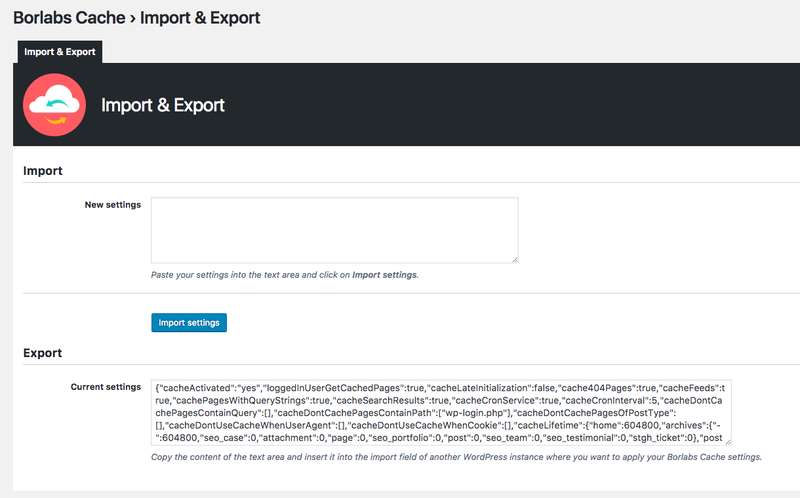 Delivers your content in milliseconds, improves your ranking, and makes your visitors happy. 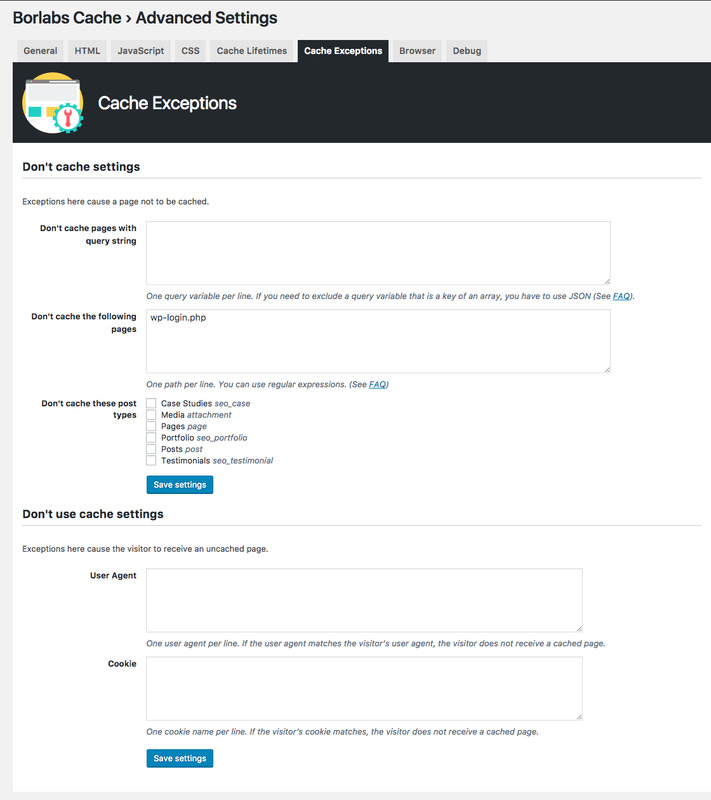 What is a caching plugin and how does it increase my WordPress performance? 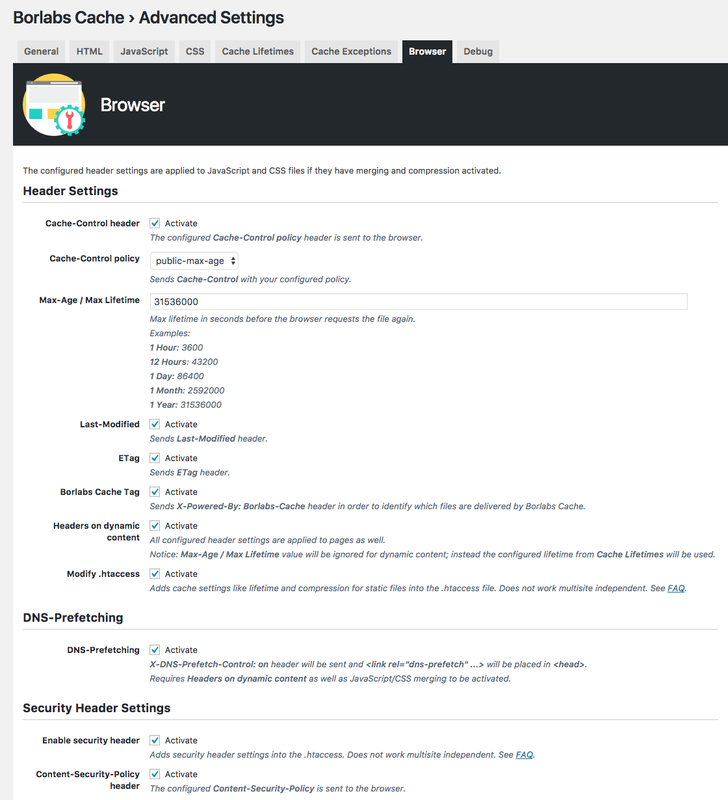 WordPress is a database powered platform which generates content dynamically. 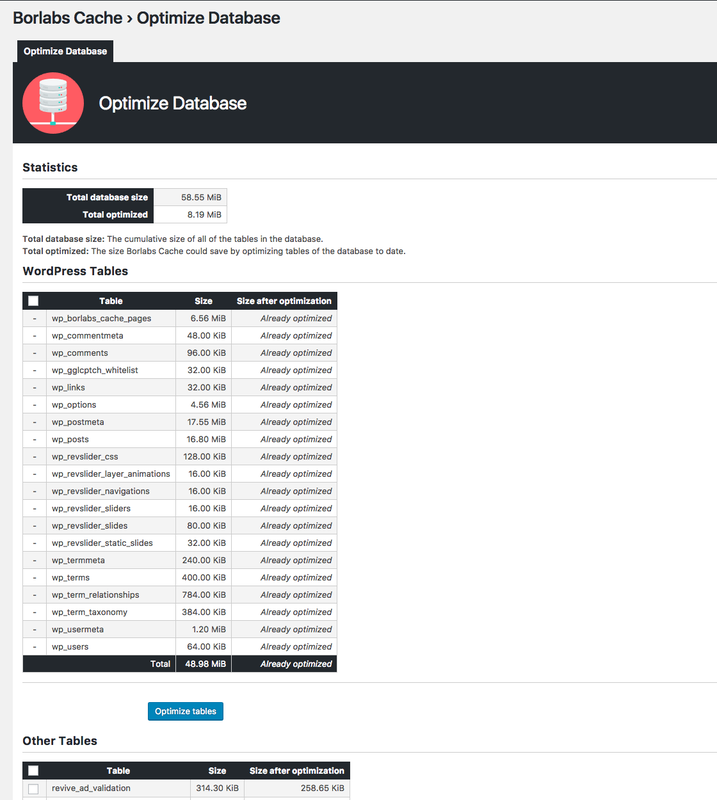 The more content and plugins you have the more database requests are executed. 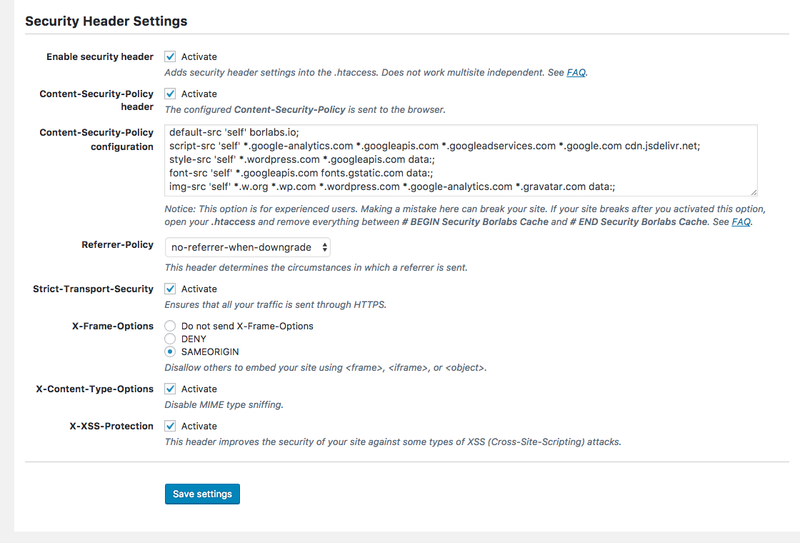 This can slow down your site’s performance, especially when your database is located on a different server. 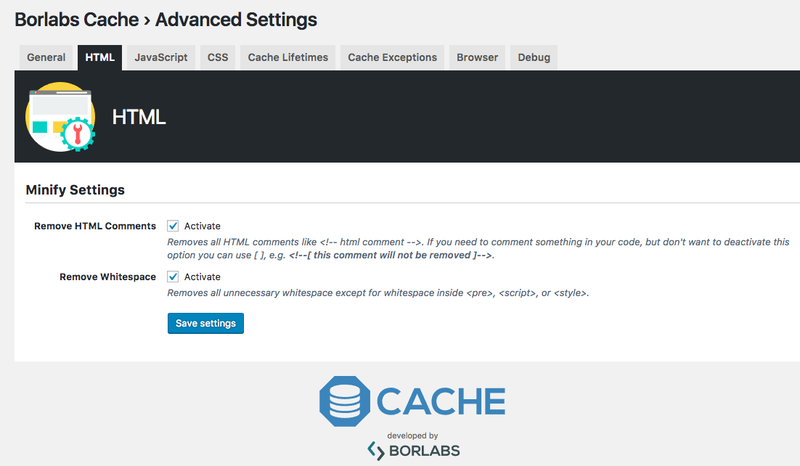 A cache plugin like Borlabs Cache saves the dynamically generated content as a static file on your server’s storage. When the page is requested, this static file is loaded and send to the visitor, which is dramatically faster than the regular database requests. But that is not all. 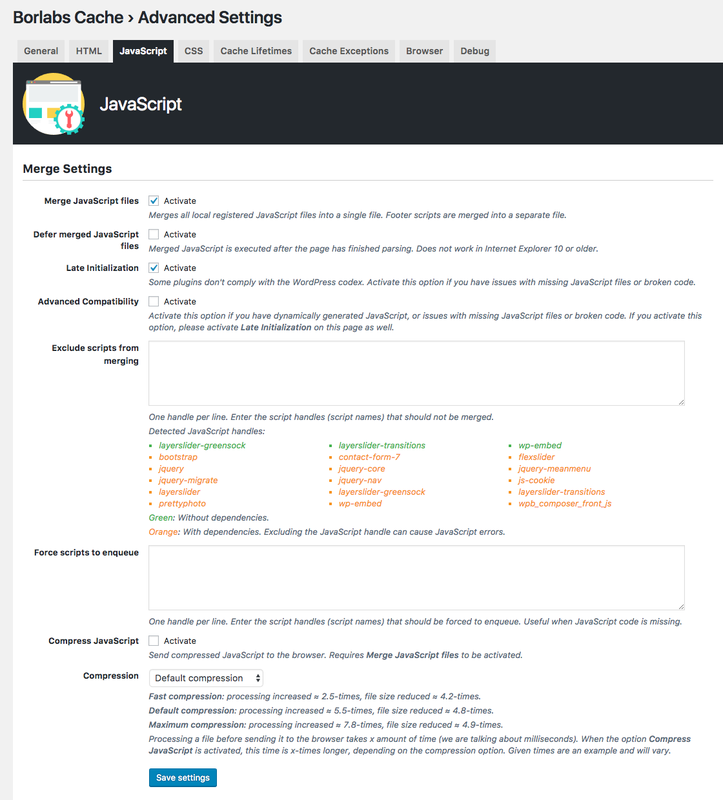 Your pages contain a lot of unnecessary whitespace or HTML-Comments, which only increases the overall size of the page, but are not important for your e.g. layout or design. 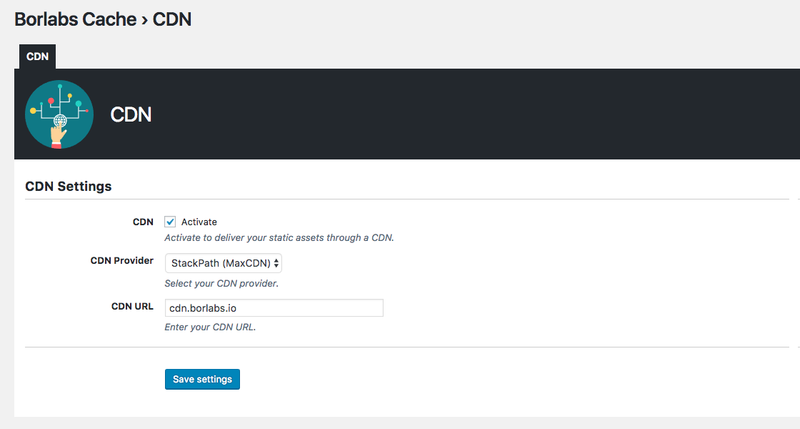 Borlabs Cache removes all of them and uses GZIP to compress your page, which saves your and your visitor’s traffic. 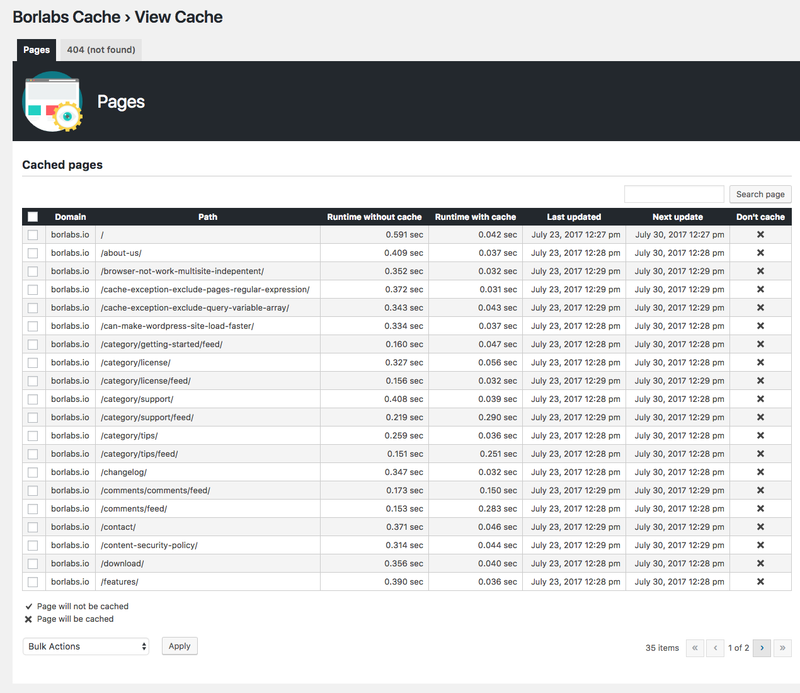 These are just some examples, what Borlabs Cache does to increase your site’s performance. 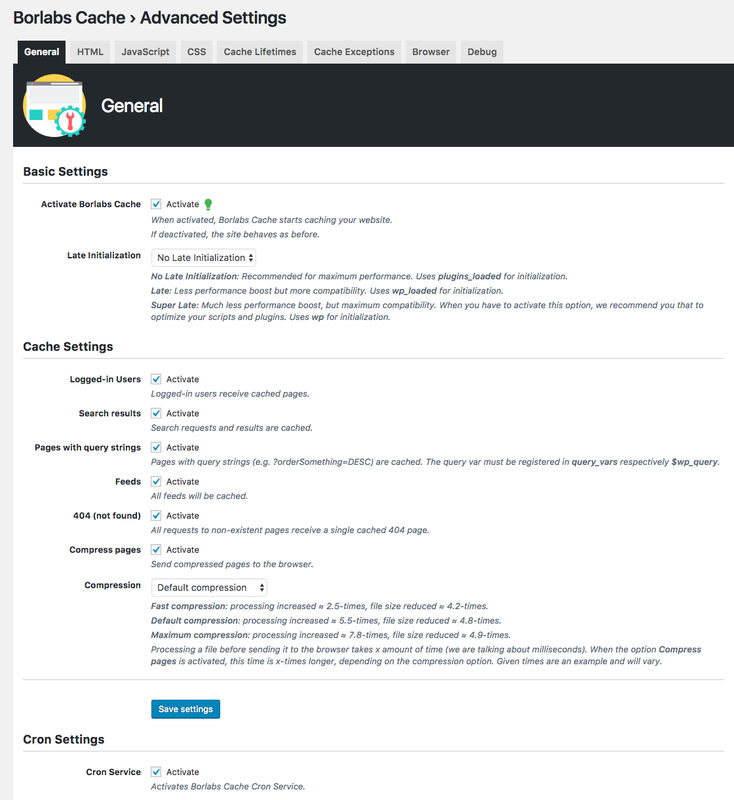 Caches every page, post, feed, category, tag, etc. 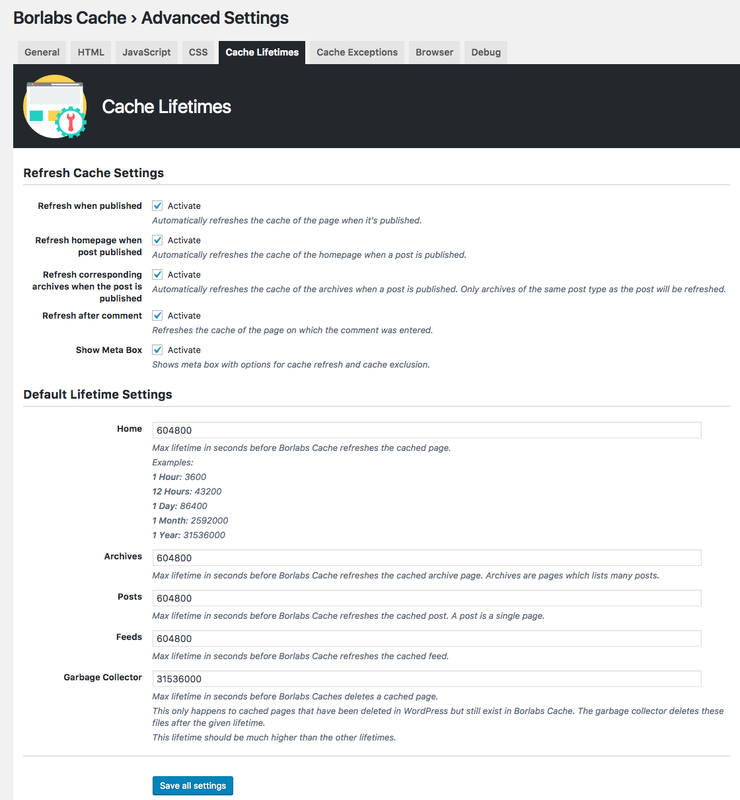 Define individual cache lifetimes for home, categories, pages, posts, feeds, custom post types, etc. 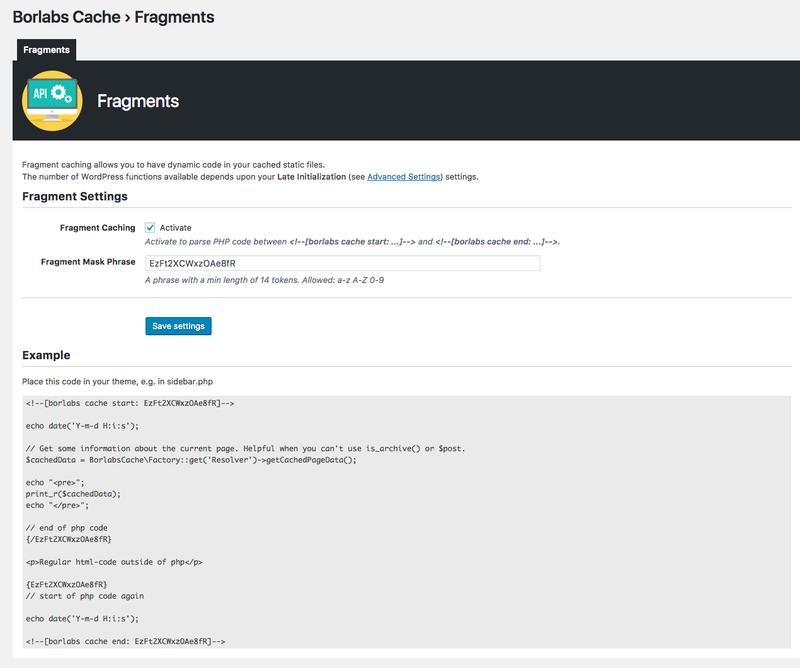 Cache Presets: Different cache settings for every kind of website like ecommerce, magazine, corporate, etc. 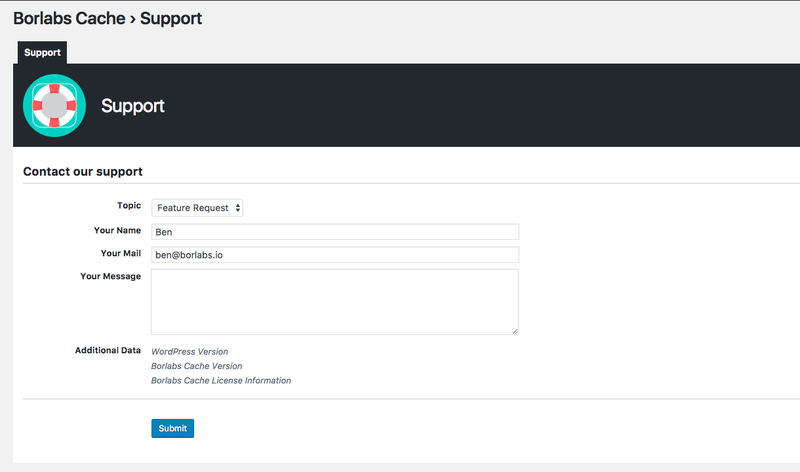 Support & Update period of an Envato purchase code will now be used to determine the license status. This will not be applied for purchases codes issued before this update. Fix for static CSS files with ? on local path. 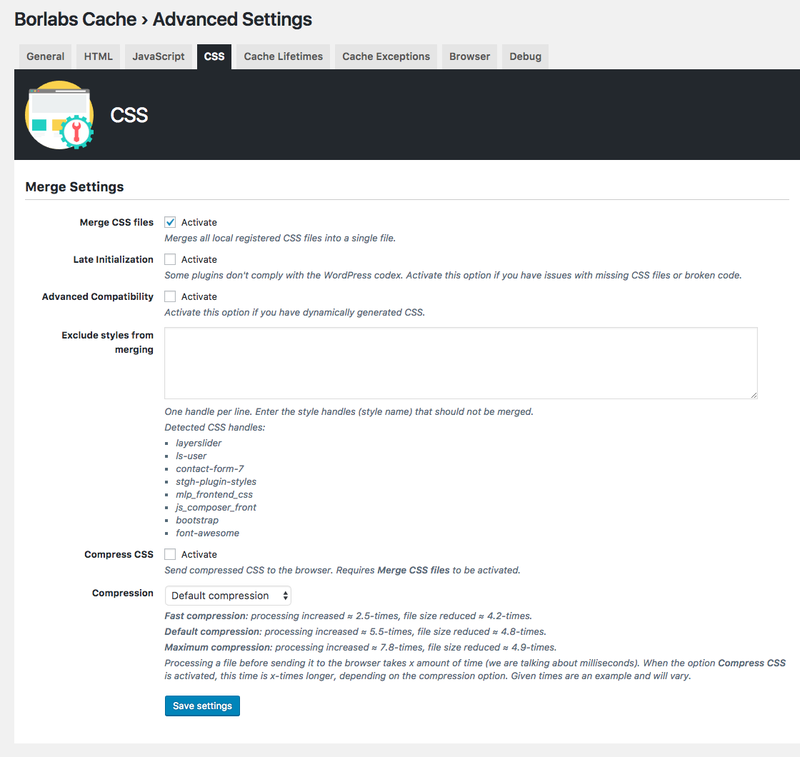 Added BORLABS_CACHE_HTACCESS_PATH for overwriting path to .htaccess when using Subresource Integrity (SRI).